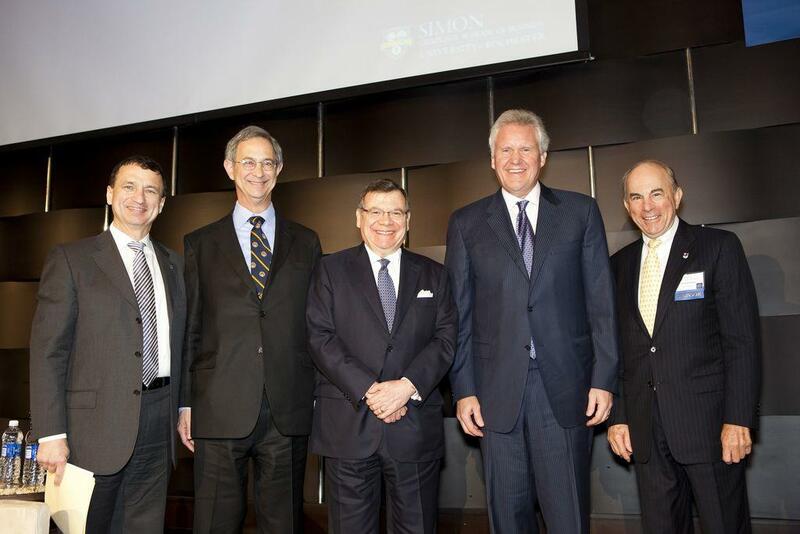 Thursday, May 3rd, 2012 was a memorable day for the Simon School as we hosted our third annual New York City Conference. 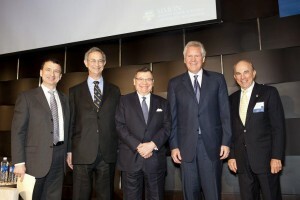 With over 300 attendees, the focus of this year’s conference was titled ‘Economic Action and the Management of Risk: Critical Decisions Hanging in the Balance.’ This year, speakers and panelists, including preeminent faculty, CEOs and senior executives of major multinational corporations, addressed critical issues involving changes in global financial regulation, opportunities and challenges of the impact of current economic policies, and the global economy, among other crucial issues. We were fortunate to hear from many individuals including: Jamie Dimon, Chairman and CEO of JP Morgan Chase; Jeffrey Immelt, Chairman and CEO of GE; Larry Kudlow, Host of CNBC’s “The Kudlow Report;” and Richard Cordray, Director, Consumer Financial Protection Bureau. This action packed day brought together so many individuals who are linked to the Simon community, whether it be as an alumnus, current student, future student, or guest. As an Admissions team member, I was especially excited to participate in the conference with several of the incoming MBA candidates who will be beginning their studies at Simon in a few months! I’m already looking forward to next year’s conference!